The only African American actor who has played a lead role in five iconic hit shows on Broadway, Alton Fitzgerald White drops by Fülle Cr. to discuss the journey from his boyhood home in a Cincinnati housing project to playing a record-breaking 4,308 performances as King Mufasa in Disney's The Lion King, which he writes about in his Disney Editions book, My Pride: Mastering Life's Daily Performance. Jason Anders: In your book you write about being influenced by your time spent in front of the television, which I definitely relate to - tell me about the positive impact that TV had on your life. 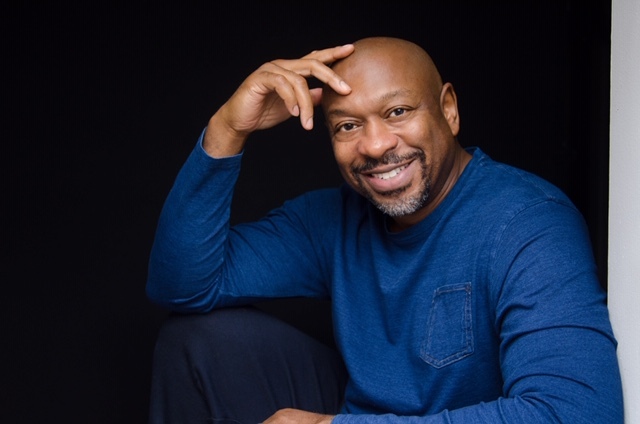 Alton Fitzgerald White: Television was different when I was a kid growing up in the 60s and 70s, parents could leave their children in front of the TV and not be afraid of them seeing something that was inappropriate. Variety shows were something that the whole family could watch; I loved that they were about entertainment, not competition. I have the blessing of benefiting from programs in my childhood that were meant to make you laugh and feel good, it was an escape and it was inspiring. Learning how to speak well and how to present yourself were things I learned from watching TV, and I soaked it up. Which shows did you most enjoy watching? Mike Douglas, Merv Griffin, Dinah Shore and fun shows like Gilligan's Island and Afterschool Specials came on during the afternoon and were all about fun and glamour. At night we had The Flip Wilson Show, which was huge because it was the first successful variety show hosted by an African American. It was a manifestation of all my dreams, "He looks like me, he's singing, dancing, acting, and hosting... it's possible for me when I grow up." What do you find is the best way to cope with the rejection that inevitably comes with this career? I write in my book about the concept of service. When I do have moments of doubt, a lot of it comes from my ego (which is never fully satisfied), and I have to remind myself that it's all about service. You are talented. Look back on your history, you've worked before and you will work again. The right "service" will show up for me that I can do willingly, gratefully, passionately and happily. If I audition for something, my responsibility is to go in there and do the best I can which means going in prepared. Prepare for whatever your service is, and if it's a match it'll happen - nothing will stop it from happening. Showing up and doing well is all you can really control, do that and you'll get to your destination against any odds. Focus on what you can do. Rejection is sometimes protection from things that are ultimately not good for you. Choose to focus on those moments and see them as lessons - don't get stuck in feelings of rejection, it's about moving through it. Service helps me to move through it. A term you use in your book is "commonplace achievements", how do you define that? It's the little victories in life. When I do my public speaking, I guide whoever I'm speaking to on a gratitude meditation. You may look back and see that you've had a promotion, a new car, a new relationship... but what about the little bitty things, like when you were running late to work and doing everything you could to get there on time and then actually making it? Those are the little things that we tend to discount. There are things we ask for and then we get them, but we never really take the time to acknowledge them. Simple things that mean a whole lot in the moment, things that actually work in our favor; the more that you recognize those things the more you'll realize that you get a lot of what you ask for. We tend to find the things that never work out for us more attractive because many times it’s more dramatic, but it's important to give the commonplace achievements attention as well. Were you armed with this thinking going into your career? These are things that I learned in my career and in life. Any career that we pursue is so consuming it's important to have a balance of what's happening in other parts of our lives. Any career, especially in show business, is so unpredictable that it helps to be rooted in things that you know work for you for sure. What were the biggest challenges on your road to Broadway? The biggest obstacle was really believing that it was possible. Getting into a Broadway show is like getting into the NFL, and it really makes you think about how many people are pursuing it versus how many people actually get there. What makes me think that I'm an exception? Especially when I was younger and didn't know anyone on Broadway I would think, "Wow, what does it take? I couldn't possibly be enough." When you're pursuing anything it's so easy to slip into desperation because you want it so badly. Desperation takes the air out of everything. When I was investing my time and money to get to New York for an audition - to buy the music and to prepare - I wanted it to be worth my investment. My focus was, let me not just think about the end result, let me stay on the journey and in the moment... the moment is all there really is. Our fantasies take us there, but all you really have is here and now. I went from believing "this will never happen for me" to getting an audition, and I knew that I really didn't want to blow my shot. Creating a space for the possibility of it happening was probably the most difficult thing. When you're performing full time do you stay completely in the moment or are you planning for what's next? When I was performing eight shows a week there was a whole set of skills that came into play that I needed for thriving through it. Part of that for me was staying open to how I could turn the present opportunity into other opportunities. That's the "business" part of show business. When I was younger I would do a lot of workshops because it was a chance to meet other creative teams. It's important to take whatever you have presently, connect the dots, and help it hopefully lead to other opportunities. What was your experience in landing The Lion King? I had my first audition with Julie Taymor before it came to Broadway just after I had been cast in Ragtime - I wanted to meet her and instinctually I knew that we clicked. I had a work session with the stage manager who told me what Julie likes. I absorbed that and saw it as a huge blessing because all I had to do was put my own stuff into what he told me. After the audition she said, "It might finally be time for us to work together." That's where the journey began. What did you love most about playing Mufasa? Mufasa was all of the wonderful, varied and positive things he represented. He's this iconic father who loves his son so much, and I was honored to be a black male actor playing this character that represented everyone, even though the message wasn't specifically black. What he represents is human - in spite of race or gender he was just an iconic father. My prayer is that people tap into their own Mufasa, their own king or queen within them – their own courage and leadership. 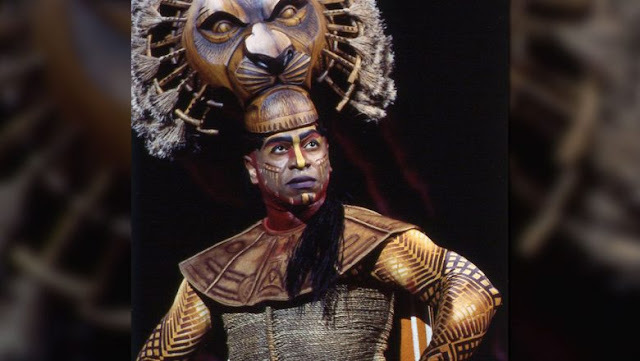 For many kids The Lion King was their first theatre experience and could potentially be just like me seeing Flip Wilson as a kid and saying, "That could be me when I grow up." Knowing that I could be that for some other minority kid is huge and very gratifying. What Mufasa represents is very powerful and his image is one of the things that helped me do it for so long. When did the idea of documenting your journey as a book first spark? When I hit the 4,000 mark and people kept telling me how lucky I was! If one more person told me how "lucky" I was, I was going to explode. "Luck" discounts any hard work or sacrifice and it felt like a backhanded compliment. I started writing down what I sacrificed and what I did, even though it may have looked easy. People don't realize what it takes for theatre actors to perform eight shows a week, we need the stamina of athletes. I started thinking about how my spirituality, my foundation, is what helped me keep moving forward in all parts of my life and wrote about that, too. I thought about self-publishing but then had a meeting with Thomas Schumacher, the head of publishing at Disney, asking him about a book which he had just released about introducing kids to theatre. He asked what I was writing about and I told him my idea and he asked me to send him some stuff. A couple of months later he told me, much to my surprise, that "Disney might want to publish this." I got a literary agent, found an editor, and then it was published. A few weeks ago it had its first birthday. It's been amazing. I didn't really know what to expect, I have discovered a whole new service for myself. It wasn’t about how many books I would sell or how much money would be made, but more about being able to share my story and hopefully inspire and touch people, not as a character but as me. It's been a dream. I did my best, authentically putting it out into the world without expectations, and have reaped wonderful spiritual and financial rewards. Do you still have surreal "pinch me" moments? Every time I sign the cover for someone I still can't believe I wrote a book. I just can't believe it! It was never in my realm of possibility. I don't like typing and I don't know anyone more impatient than I am, I never imagined having the time to sit down and being able to write. That frustration with the whole "luck" thing and how insulting it felt, I had no other way to express it. I started typing just to get it out of my system and it turned into this thing. The main thing I love about all of this is that I started writing for myself as therapy - I needed to remember my story and how I went from being the shy kid afraid to sing in front of anybody to 4,000 performances. I love the title - were there ever any other working titles? It was always My Pride. There's no greater feeling than making yourself proud. If you know that you've done your best and you've made yourself happy, that's something that no one can take away from you unless you allow them to. In terms of pride, it is important who we surround ourselves with. Surround yourself with like-minded people who inspire you, who push and challenge you, not people who just tell you what you want to hear or people who are constantly complaining. It's another reason I chose that title, to remind you to be protective of your spirit and not just give it up to anybody who might take advantage of it and not appreciate it. When did you become cognizant of who you surround yourself with? As I was pursuing the business and started getting more roles and making more money I had groups of friends who I loved and thought we wanted the same things - what they say is true, you can't take everybody with you. It's heartbreaking but people's agendas, dreams and desires change. That’s okay, but there's nothing worse than getting good news about a show or anything in life and being worried to tell your friend because it will turn into a conversation about their problems and you feel guilty because they don't seem to be doing so well - especially when you really know them and know they are not doing all they can possibly do for themselves or their situation. It can feel like a burden. I think for a lot of us it's hard to "break up." We sometimes wind up dragging people along even though they drain our energy, and that is something that we all have to be conscious of... in life, and especially in the business, because it's so unpredictable. It is vital to be deliberate with where you put your energy and your overall investments. What advice do you have for those pursuing a career and are feeling discouraged? It is important to be realistic with what your dreams are. You need to really know what your strengths and weaknesses are. In some cases, know what type you are and commit to that. Being honest with yourself is important. Be prepared. How prepared are you to get that big break that you say you've been waiting for? Become incorporated and be prepared to make money so that you won't be eaten alive by taxes. Do it because you're your own best investment. In 2018 they changed a lot of the tax laws for actors and we can't write off a lot of the things that we used to write off, which is really hurting a lot of people. Becoming incorporated many years ago helped me not have to worry about a lot of that. I say all of this because some people finally get their shot and become overwhelmed by it. You can sabotage it if you're not prepared emotionally and financially. As artists, we can never forget that pursuing the arts is a business. A book about money is something I'm actually thinking about writing. I think that people who pursue against-the-grain, self-employed careers that have terrible relationships with money need it. We as actors carry the label of "starving artist" and if once we start getting work we don't have a healthy relationship with money it can be intimidating. As soon as someone becomes successful and commercial (which is the idea to begin with) we call them a sellout. Why can't they just be a "thriving artist" instead of a "starving artist"? If you don't put conscious energy into that mentality shift it's so easy to sabotage it. What is one musical you think everyone should see? My favorite musical is Once on This Island. I saw the original thirteen times. It's just a musical about love. It was this 90-minute show with no intermission and no major sets, it was just earthy beautiful music about the power of love. The music and human story are both extraordinary, told through black islanders but their color becomes secondary because it is about similar journeys that many of us go through. A show that can make you think about your own life but also entertain you is a very special thing. That takes real craftsmanship, to not be put in one category, and have you walking out of the theatre thinking "what if I hadn't had the experience I just had?" It's heart-opening and a show that I think everyone should see. If you had to describe yourself using only four words, what would they be? 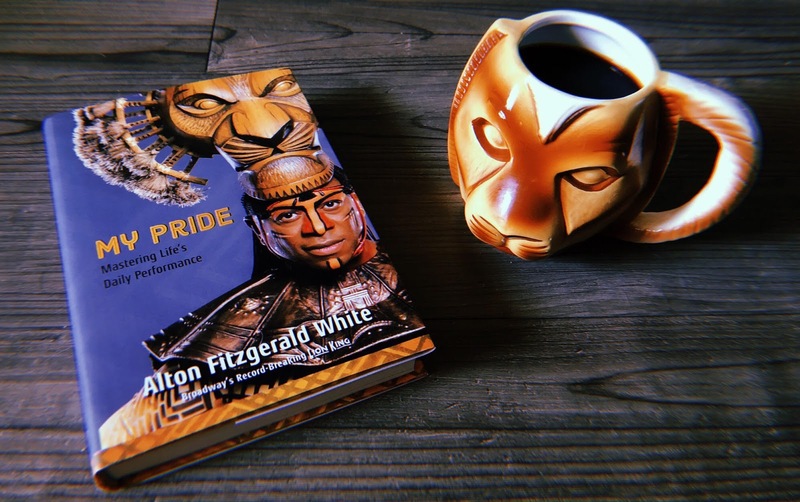 Buy an Autographed copy of Alton's book, My Pride: Mastering Life's Daily Performance, HERE!